The Department is a pioneer department since the inception of the college. Initially, the department was the main part of 'Academy of Social Sciences'. M.Sc. Economics, London School of Economics. Author of text books for degree classes. Principal, K. L. E. Colleges. Eminent Teacher, Joined Bank of Baroda. Rank Awarded by, The President of India. Principal, KLE Society’s Lingaraj College. The Department of Economics has been a pioneer department of the college since its inception. Economics as major subject in the college was a branch of ‘ Academy of Social Sciences’ along with Sociology, History, Political Science, Psychology and Geography. In the past the department has been served by eminent academicians and intellectual teachers. Prof. Sankapal was the first Professor in the department had his M.Sc in Economics from Cambridge University. Prof. Rege another product of Cambridge University served the department during 1938-39. Barrister Y.S. Mahajan a renowned Scholar from the London School of Economics served in the department for six years up till 1944. Prof Krishnamurthy and Prof. K. Anantram served the department for a brief period during 1943-44. Prof. B. M. Ramalingayya who joined the department during 1943 served up till 1950. He was an NCC officer also. Prof. S. S. Mutalik served up till 1954-55. He later joined the Poona University. Prof. M. S. Hallur served the department for a brief period of one year during 1950-51 and later he was transferred to sister institution of K. L. E. Society. He authorized many text books in economics and was popular amongst the students. Prof. M. Hallayya headed the department from 1952. He was a first class M.Sc from USA and later he was awarded PhD from Karnatak University, Dharwad. He served as Principal of several colleges of K.L.E. Society. He authored several books in Economics and are popular amongst the students even today. Prof. A. R. Sayed joined the department during 1955 and was in the department up till 1958. Later he left to Bombay on higher assignments. Prof. T. S. Mallikarjunaiah from the department of Sociology was also teaching Economics along with the Prof. M. Hallayya, S. S. Mutalik Desai, Prof. L. S. Naik and Prof. T. S. Patil. Prof. L. S. Naik a renowned teacher who served the department during 1959-63 was later transferred to sister institution of the society. Prof. T. S. Patil who retired from the department of Economics Karnatak University, Dharwad served in the department for ten years. i.e 1959-61. Prof. T. S. Patil visited U. S. S. R to his higher studies. Prof. S. G. Karbhantnal an eminent Professor of Economics joined the department in 1960 and was also – the Head of the ‘ Academy of Social Sciences’. Later he was promoted and transferred as Principal of other institutions of the Society. He attended a month long workshop at Ooty, organised by USIS in 1961. Prof. H. R. Sakhare joined the department in 1952 and was transferred to society’s Sri Kadasiddeshwar College, Hubli in 1957. He joined the department again in 1966 and retired from his services in 1979. Prof Sakhare was highly learned and his lectures are still inspiring to his students. Prof. R. Jayaraman also served in the department for two years during 1961-63. In 1963 he was selected as the Probationary Assistant in the Bank of Baroda. Prof. M. I. Ipe joined the department in 1962 after completing his M. A. from Madras University. He also taught, for some time, Political Science and Statistics in addition to Economics. At the time of his retirement he was holding the charge of the Principal. Prof. M. I. Ipe was commissioned in NCC in1963 and promoted as Major and 2 L/c of 25 Karnatak Battalion. He was awarded DG’s Commendation and Honorary Major Rank by the President of India. Prof. N. B. Medikeri, M. A from Karnatak University, Dharwad worked I the department from 1962 to 1994. For some time he served as the District Planning officer under the Scheme sponsored by the Department of Planning , Government of Karnataka, Bangalore. Dr. D. M. Nanjundappa was the Economic Advisor for the Department of Planning. Prof. S. S. Masali, student of the department during 1974-77 joined the department as Lecturer in 1979 after completing M.A. from Karnatak University, Dharwad. Shri S. S. Masali got his Ph.D on the topic “Agricultural wages in Karnataka” from Karnatak University, Dharwad during 1993. He has also published few research articles and presented research papers in the State and National Level Seminars and Conferences. 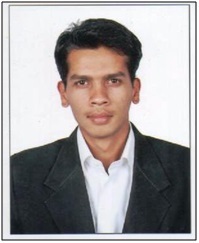 He is recognized as the research Guide of Karnatak University, Dharwad, K.L.E. University, Belgaum and Rani Channama University, Belgavi. At present he is guiding five students for Ph.D. Dr. Masali has submitted UGC the Minor Research Project on ‘Panchayat Raj Institutions in Karnataka – A Case Study of Belgaum District’. At present he is the heads the Institute as Principal of Lingaraj College, Belgaum. He is on the Board of Studies of B.L.D Society’s Commerce College, Bijapur. Prof. S. B. Somannavar student of the department during 1974-77 joined the department as Lecturer in 1979 after completing M.A. from Karnatak University, Dharwad. He was transferred to Society’s Mrutyunjaya College, Dharwad and SMS College Athani for few years during 1994-1999. He rejoined the department in 2000. He is awarded the Ph.D Degree from Karnataka University, Dharwad in 2003 for his thesis “The State of Health Care in Karnataka: A Case Study of Dharwad District. He has presented research papers in national and international seminars/conferences (for details see the CV). At present his Minor Research Project funded by UGC is under progress. He has served as the member “Advisory Committee, Karnataka State Electricity Regulatory Commission”, Bangalore. He has delivered Key Note Addresses at National and International Seminars/Conferences. He has acted as external examiner for awarding Ph.D degrees of Chatrapathi Shivaji University, Kolhapur, Maharashtra State. Presently he heads the Department of Economics and also the Chairman of Board of Studies for U.G. and P.G. Programmes, seven students of RCU, Belgavi for Ph.D Degree. He is on the Board of Studies of KLE University, Belgaum. Prof. Shinde Bhimasenrao joined the department of Economics in 1981 and later he joined the Karnatak Administrative Services in 1986 as Tahashildar. At present he is working as special Officer in the Chief Ministers Office, Government of Karnataka, Bangalore. Dr. S. C. Mathapathi an old student of the college joined the department in 1985. He was awarded PhD from Karnatak University during August 2002. He was transferred to society’s SVS Bellubbi College, Saundatti in 1996. Dr. A. D. Mulgund came to Lingaraj College in place of Prof. Mathapathi. He did his PhD from Karnatak University Dharwad in 1993. He has many research papers to his credit and also attended conferences and seminars for paper presentation. Prof (Mrs.) G. N. Patil an alumnus of the college joined the department in 2000. She has attended and presented papers in National and International Seminars/Conferences. She has published papers in professional journals. Presently Dr. S.S. Masali, Dr. S.B. Somannavar and Smt. G.N. Patil are carrying out Minor Research Projects under the CPE progammme. Principal Shri. R. Nataraj, SGL in Economics joined the Department in 2001 and was transferred to Society’s J.G.College of Commerce in 2005. He was an old student of the college. After M.A. in Economics from Karnatak University, Dharwad in 1972 Shri R. Nataraj served in the society’s J G College of Commerce for almost 28 years. For a brief period he served in the society’s G. H. College, Haveri. On 31 st May 2002 he was promoted as Principal of Lingaraj College. Principal R. Nataraj was a guest faculty in the Indian Institute of Bankers, Hubli B.V.B. College of Engineering and Technology, Hubli and College of Business Administration, Hubli. He has also attended workshops, seminars and conferences. Principal R Nataraj has co-authored two books viz; 1) Banking Theory and Practice and 2) Banking Law and Practice for B.Com Classes. Mrs. Jayashri Kothiwale. Lecturer in Economics joined the Department, in 2002 and joined G.S.S. College, Gokak during 2008. Mrs. Swathi Desurkar Mr. Rajesh Goankar also served in the Department for few years during 1998 to 2005. Prof G.I.Shettar, SGL in Economics, joined the Department in 2007. Earlier he was serving in J.T. College, Gadag. 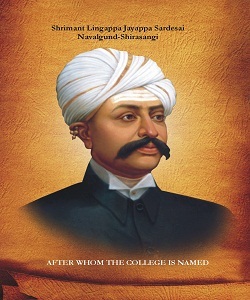 He also served in various Colleges of the Society. He has also written text books in economics. He was the life member of the K.L.E. Society and at present he is the Coordinator of the Society. Miss Smitha R. Khode, Lecturer in Economics, joined the Department during September 2007. She is pursuing her M.Phil from Karnatak University, Dharwad. Miss Shilpa Chikmath, an alumnus, joined the Department during October 2008. She has attended several workshops/seminars and conferences. Miss Kusma Kumari joined the department in June 2011. She passed the NET examination in Dec 2012 and has been awarded M.Phil by Shri Krishnadevaraya University, Ananthpur, Andhrapradesh, and working for her Ph.d.
Mr. Murgesh .K. M. served in the department for the Academic year June 2013. He has been awarded M.Phil degree from Shri. Venkateshwar University, Tirupati. He is pursuing Ph.d degree in the Kuvempu University. Miss. Madhumati. R. Shettar served the department from Sept. 2014 to June 2017. She has been awarded M.Phil degree from Karnataka University, Dharwad. 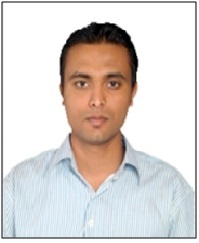 Mr. Pawan Kumar served in the department for the Academic year 2014-15. He has attended several workshops/seminars and conferences. Mr. Arshan Kashanatti joined the department on 10 th August 2015. He has attended several workshops/seminars and conferences. He has cleared his KSET examination in 2016. Dr. N.A. Yamanur has served the department from 2016-17. Dr. Raghavendra Hajgolkar and Dr. Vishwanath have joined the department on 24 th July 2017. Mr. Vinayak Kamkar joined the department as a Lecturer on Feb 2018. "Economics for a way of life "
To imbibe the tenets of Economics among the students to be socially responsive graduates. Make the students understand the basics of Economics. Make students understand and respond to the changing global environment. Promote personal development by involving students in seminars, group discussions and field visits. Train students to write mini project reports through personal inter-action, field survey, newspaper analysis and understand applications of Economics. Encourage faculty to update their knowledge base of the subject through research and participation in seminars, workshops etc.